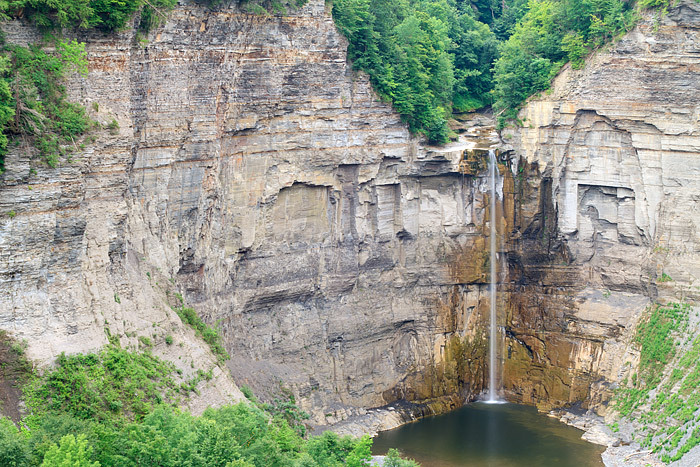 Taughannock Falls abrubtly drops 215 ft to the bottom of the large gorge near Trumansburg, New York. These impressive falls located in the Finger Lake region of New York and the state park is a short drive from the town of Ithica. Photo © copyright by Thomas Mangan.